A picture is worth a thousand words... or so they say. I would have to agree. I'm no great photographer and my eight year old digital camera works... most of the time. And, every once in a while, when I'm downloading my photos there is a passable one in the bunch (1 in 200 is usually my ratio - ha!). But that doesn't stop me from taking pictures... lots of pictures! I am frequently overwhelmed by God's creation and am constantly seeing things I want to "share." A picture is a great way to do that. 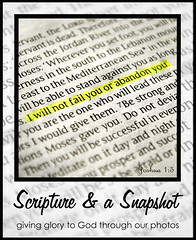 I was delighted when I came across the Scripture and a Snapshot challenge over at Katie Lloyd Photography! ﻿What an inspiring way to spread the Word! I love Hyacinths! It's fascinating to me how they change color depending upon the alkalinity of the soil. In this picture I focused on the leaves. Don't ya just love the dark veins and different shades of green? I do! It reminded of this scripture, Psalm 37:4, which is one of my favorites. We often have many different "shades" or desires in our hearts. But until those desires line up with what God desires for us, pursuing them won't bring the joy and blessings God wants for our lives. I enjoyed discovering ways to practically apply this scripture to my life when I was writing Heart's Desire. As you can guess from the title, it's a major theme in the story. Melinda has many "plans" for her life. But it isn't until she begins to seek God's plan for her that she finds true peace. 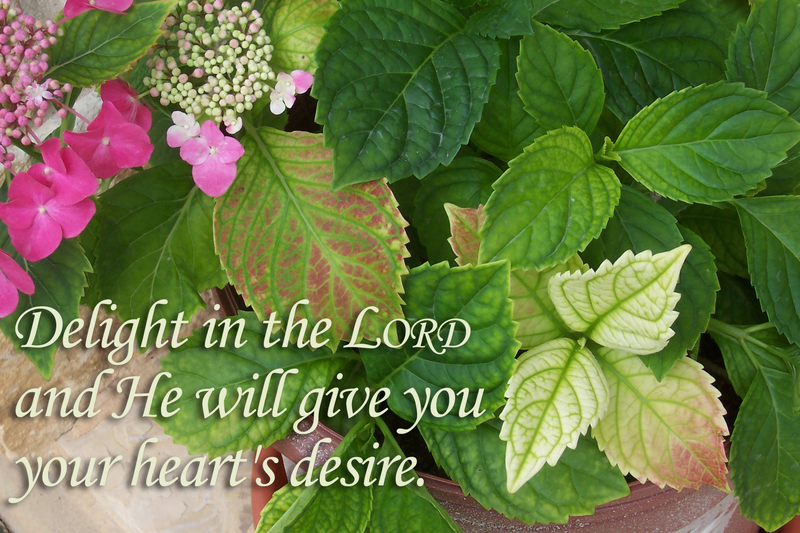 So what's your current heart's desire? Do you think it lines up with what God would want for you? I'm so happy to have you joining in with us this week! :) And I love what you've written! So, so true!! Great first entry - looking forward to many more. A beautiful photo and perfect verse. amen to that!! the colors in the shot are truly beautiful!!!! Lovely! Really a reassuring verse when you rely on God to give you the desire in the first place. Glad you are joining us!! What powerful words you wrote. You picked a great verse. One of my favorites and one I have had my children memorize.Oh how wonderful it is to delight in the Lord!